When a loved one passes away, the loss you feel can be overwhelming and debilitating for an indeterminate amount of time afterward. Typically, you at least have the luxury of working through your grief on your own schedule. 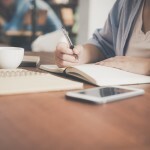 If you were also named as the Executor in the decedent’s Last Will and Testament, however, you must set aside your grief to some extent because your loved one is counting on you to handle the administration of his/her estate. 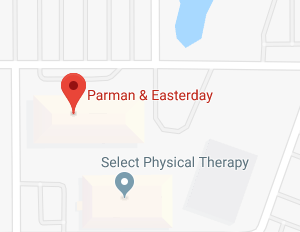 If this is your first time overseeing the probate of an estate, the Oklahoma City estate planning attorneys at Parman & Easterday offer some things you may wish to consider when performing your role as Executor. Over the course of a lifetime, almost everyone acquires assets that comprise their estate at the time of their death. Some people amass a huge estate that includes complex and valuable assets while other people own little more than their personal possessions at the time of death. Regardless of the size and value of assets owned by a decedent, those assets must be identified, valued, and passed down to the new owners. That is the primary purpose of the legal process known as probate. Before those assets are passed down, however, there are a number of steps an Executor must oversee during the probate process. Initiating the probate process. 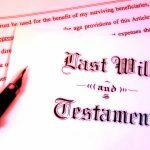 As the Executor, you will need to open the probate of the estate by filing a petition, along with a certified copy of the death certificate and an original Last Will and Testament with the appropriate probate court. Inventorying, securing, and valuing assets. As soon as possible, you need to complete an inventory of the decedent’s assets, including both tangible and intangible assets. Assets must also be secured which may mean doing things such as closing a financial account or locking up real property. A date of death value will be required for all estate assets as well. For some assets, this may require you to secure the assistance of an appraiser. 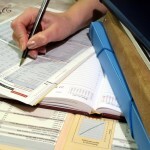 Notifying creditors and paying claims. All potential creditors of the estate must be notified that probate is underway. This is accomplished by publishing a notice in a local newspaper. As the Executor, you must review claims and pay all approved claims, according to priority, using estate assets. Prepare, file, and pay estate taxes. All estates are potentially subject to federal gift and estate taxes. Connecticut also imposes a state estate tax. You must file estate tax returns with both the state and federal government and pay any taxes due. Final accounting submitted. If required, you will need to submit a final accounting and proposed distribution with the probate court. Transfer assets to beneficiaries. Finally, you will need to prepare any documents necessary to legally transfer the remaining assets to the intended beneficiaries as listed in the decedent’s Last Will and Testament. Seek advice and guidance. Do not make the common mistake of trying to handle the probate process by yourself. Along with retaining the assistance of an experienced estate planning attorney, you may find that you need the services of a certified public accountant (CPA), a licensed real estate agent, and/or a licensed appraiser. 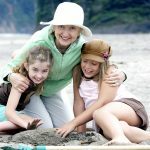 Each of these professionals will make your job as Executor much easier and their fees will be paid for by the estate. Start organizing immediately. Spend as much time as necessary identifying estate property, for example. Make lists of all estate assets, their location, and approximate value. Make a similar list for all known debts of the estate. Err on the side of caution. The estate you are probating represents a lifetime of hard work for the decedent. Given that, always err on the side of caution. If you are unsure of how to proceed at some juncture, consult with a professional. If you are hesitant about distributing an asset, take your time and make sure that distributing the asset is the right thing to do. If you think the estate might lack sufficient liquid assets, start considering the sale of assets ahead of time. Keep in mind that someday, someone will be acting as your Executor. For additional information, please join us for an upcoming FREE seminar. 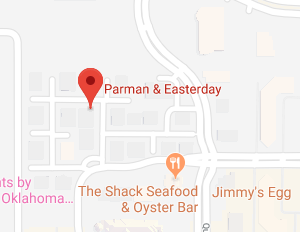 If you have questions or concerns regarding the duties and responsibilities of an Executor, contact the experienced Oklahoma City estate planning attorneys at Parman & Easterday by calling 405-843-6100 or 913-385-9400 to schedule your appointment today.